It’s a glorious early summer evening. I’m 28 floors up at Galvin At Windows in London’s Park Lane, overlooking the Queen’s back garden. And I have a glass of the newly-released Bruno Paillard 2002 Blanc de Blancs Champagne in hand. In a world where Champagne houses seem to fall over themselves to seduce wine writers around new releases, this feels intimate, stylish and relatively low-key. But then, should I expect anything less from a producer who is seen (or sees itself, according to a friend) as the Chanel of Champagne? Our host for the evening is Alice Paillard, who works alongside her father Bruno. I’d first met her earlier in the year at a trade tasting. Word on the street was that Paillard Champagne’s were showing really well. I scuttled quickly to the Paillard table where – despite the lateness of the afternoon and the crowds – Alice led me through her Champagnes with an almost missionary zeal. I was looking forward to trying some again under more relaxed conditions. We began with the Brut Premiere Cuveé NV, the reason Bruno Paillard started his Champagne house in 1981 – the first new house in nearly a century. Alice explained how, at the time, there was a lot of consolidation in the region and a lot of uniformity. So Bruno started with a blank sheet, no boundaries and “with an absolute quest for perfection”. The blend is 45% Pinot Noir, 22% Pinot Meunier and 33% Chardonnay from 35 different “terroirs”. To maintain the style, Paillard uses a solera system, a fractional blending method where younger wine is used to top up casks of older wine on a regular basis. This means every bottle of the cuveé contains some of the wine from a reserve which started in 1985. It felt refined and structured in my mouth, slightly oxidative with gentle flavours of yellow apples, lemon pith and redcurrants. And it lingered. We drank it while eating mature Cheddar gougères. Frankly, I would have gone home happy if we’d stopped there. 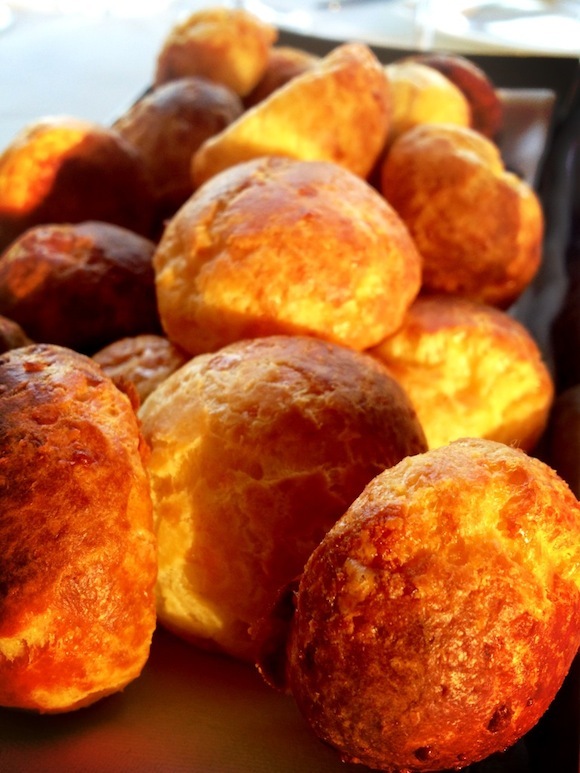 To me, it smelt quite opulent already and – as we talked and swirled – it began to reveal aromas of tangerine and flaky, buttery cream crackers. It was more tight on the palate at first. I picked up some flakes of salt, then some fresh green leaves and, as it relaxed, some lemons, oranges and those rich, buttery crackers. It was paired with a plate of cured salmon, crab, avocado and caviar – which highlighted the salty, citrus aspect of the Blanc de Blancs in a good way. A very good way. Like all Paillard Champagnes, it is low dosage too, five grams per litre (the average is 10-12 grams). The label, incidentally, was designed by Jean-Paul Agosti . The N.P.U – or “Nec Plus Ultra” – 1999 – is even lower dosage at four grams per litre. This is Paillard’s crème de la crème, with a price tag to match (around £200). “Close your eyes and listen to its little music,” urges the Paillard website, rather magisterially. Sorry We were too busy discussing if umami really existed. Why? Because this pure, haunting, smokey, layered Champagne played against the dashi broth in the next course quite brilliantly. Switching to the seemingly-subtle Rosé Premiere Cuveé could have been a let down, if we hadn’t been led through the kitchen to a back balcony to drink it, just in time for fireworks in the Mall. It might have been for the Queen – or perhaps Paillard pulled a sneaky stunt over its competitors and wasn’t letting on. With a twilight view over central London, I did feel quite seduced. These are, however, seriously classy Champagnes without the bling of some other more sought-after cachet brands. Yes, more Chanel and less Vuitton. 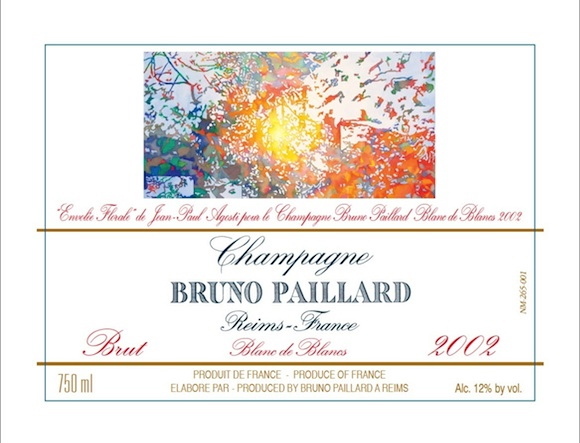 Bruno Paillard Champagne is distributed in the UK by Bibendum.